The Slovakian international will provide cover after Chris Dilo picked up an injury. 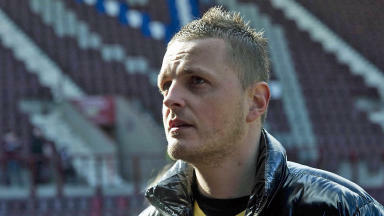 Former Hearts goalkeeper Marian Kello has joined St Mirren on a short-term deal. The 31-year-old was a free agent after leaving Wolverhampton Wanderers in the summer and had signed with Danny Lennon's men until January 2014. Kello played at Tynecastle from 2008 until 2012 before leaving for Romanian side FC Astra Giurgiu after being frozen out towards the end of his time in Scotland. 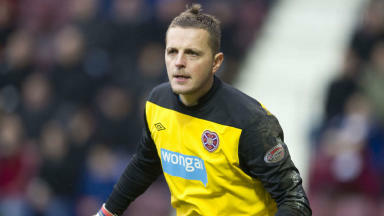 He will provide cover to Chris Dilo, who picked up a knee injury in St Mirren's 4-3 win over St Johnstone at the weekend. Kello could make his debut against Dundee United at Tannadice on Saturday, subject to international clearance. The Scottish Premiership side have announced he will wear the number 28 shirt.